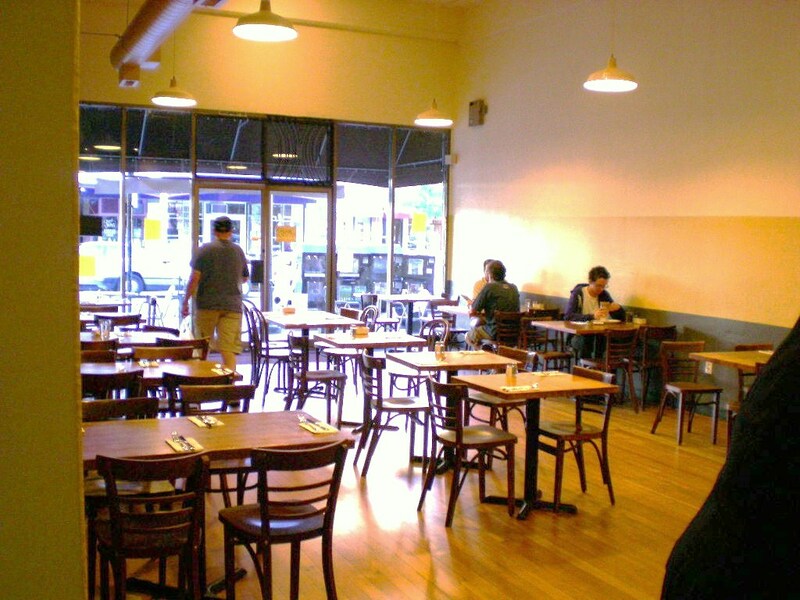 After 20 years as a downtown staple, Aram’s has closed their doors. 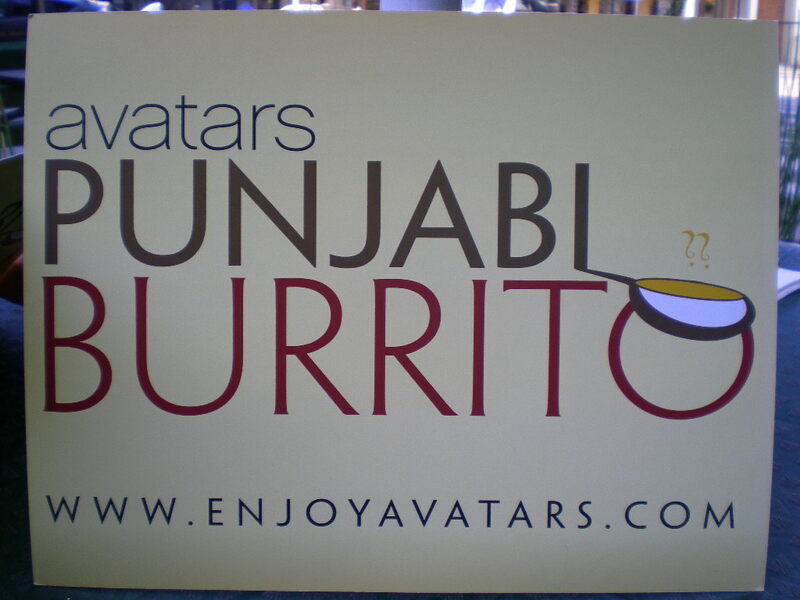 Avatar’s Punjabi Burrito has opened in their place and offers a new twist on the burrito — Indian cuisine wrapped in Punjabi flat bread. The ingredients are local, the flavors are diverse, and from what little I know of nutrition, Avatar’s clearly offers a healthy alternative to many of the other restaurants in town. As a Petaluminary, I am eager to try any new restaurant. I tried Indian food for the first time just a couple of years ago and enjoyed it immensely, but I am skeptical to see a third restaurant of this cuisine open within blocks of the other two, Everest at the Golden Eagle and Himalayan Grill on Western at Liberty. But this new restaurant is promising a new twist on traditional Indian food and that piqued my curiosity. 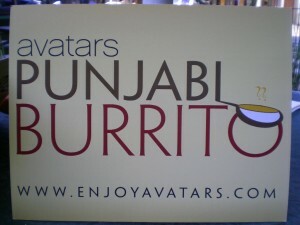 Intrigued by the idea of mixing all the great flavors of Indian food inside a burrito, I was anxiously awaiting the grand opening of Avatar’s Punjabi Burrito. I collected up the family and headed over for dinner. 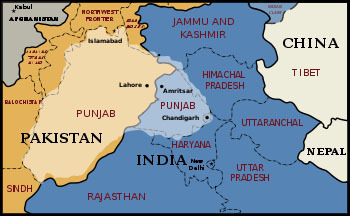 Punjab is a region that straddles the border of India and Pakistan with the language of Punjabi ranking thirteenth in the world, with 88 million speakers, the majority of which live in Pakistan. They produce a cuisine very similar to what we Westerners call Indian food. Just as easily prepared vegetarian as with meat, the flavors of Punjab are rich and full bodied, usually with a bit of heat added to the curries. Punjabi breads can be either flat or raised and can be baked in a tandoor (clay oven), dry baked on a griddle, shallow fried, or deep fried. 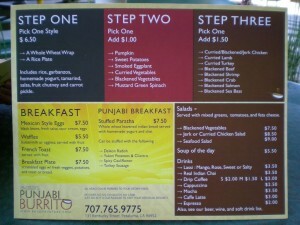 I assume the “Punjabi” in Avatar’s name references the flatbread they use in place of a traditional burrito tortilla. Avatar’s menu is simple, which is comforting when dining at a new restaurant, with unfamiliar cuisine. It is laid out in a manner that takes you through a three step ordering process; first step – the basics, second step – veggie; third step – meat. Step one; we picked a style, which includes a whole wheat wrap or rice plate, covered in garbanzos, yogurt, tamarind, salsa, fruit chutney, and carrot pickle. This first step is priced at $6.50. Step two, for an additional $1, includes, but is not limited to, the likes of sweet potatoes, smoked eggplant, or blackened vegetables. Step three invites you to de-vegetarian your meal with choices like chicken, lamb, turkey, or beef – curried, blackened or jerked. 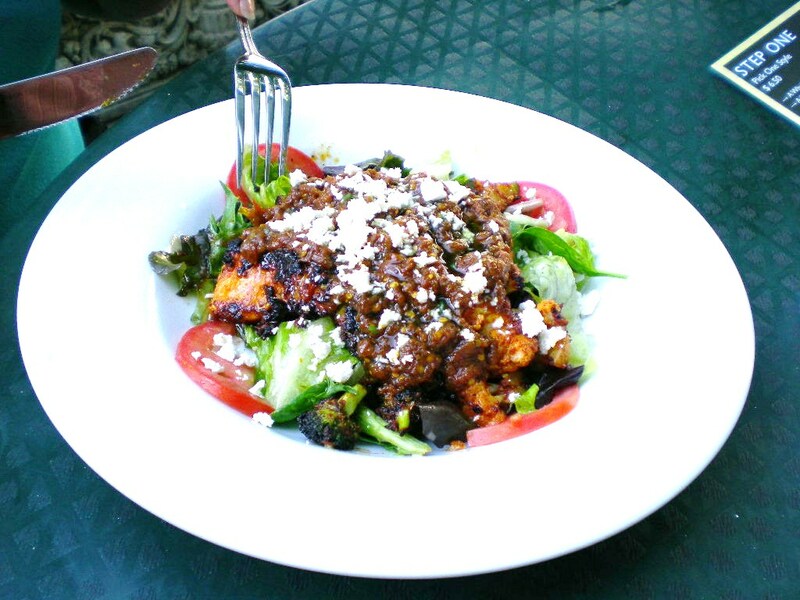 For the fish lovers there is blackened shrimp, crab, salmon, or sea bass. The meat choices are an additional $1.50 for a total ‘rito cost of $9.50, plus tax. You can also order the entire thing on a bed of lettuce, fulfilling their promise of low and no carb alternatives. 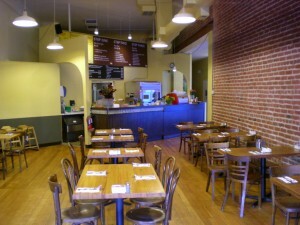 Unlike the majority of restaurants that boldly post “no substitutes,” Avatar’s bucks this trend by clearly stating on their menu that, “All meals can be prepared to your dietary needs – just ask as it is our pleasure to meet your individual requests.” For the growing number of people who are eating a gluten-free diet, this will easily become their restaurant of choice. Before you are confused by the “no carbs” claim on their menu, it only applies to a select few choices. It does not apply to all their meals since it is hard to go carb-less with foods like rice, potatoes and wheat. We were three, so we ordered different meals with the idea of passing to the left at several intervals throughout our dinner. (Why to the left? Even in this digital age, the idea of “clockwise” is still holding ground, although it has become a bit tedious having to explain to the youngsters that clocks used to have hands on them. I thought my expanding grumpiness and intolerance, coupled with a receding bedtime and hairline would brand me as “mature”, but apparently, telling stories about the good old days, when we used watches, with hands, to tell time, instead of our cell phones, has become my mark of senility.) All bundled in whole wheat wraps, we ordered pumpkin with curried chicken, sweet potato with curried lamb, and smoked eggplant with blackened sea bass. We also ordered a beer and one of my favorite hot weather drinks, a mango lassi, which is a yogurt-y, yet surprisingly refreshing drink. Both were excellent, although the lassi portion could have been bigger. The meals came quickly but were served on a stark plate with the burrito double wrapped in aluminum foil. I can appreciate utilitarianism but it feels a bit more welcoming when my ‘rito is served so I can see it, sans-foil, when I am dining out. 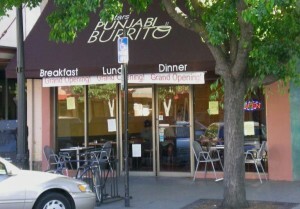 A cloaked ‘rito says, “keep your coat on; we may need to make a run for it,” not “stay and enjoy your dining experience.” Then again, Punjabi’s ambiance leaves a bit to be desired anyway, so maybe this is the intent. Other than table service and beer, Avatar’s has more of a fast food feel to it. India is a fantastically vibrant civilization; the tame interior and ho hum plating does its culture no justice. 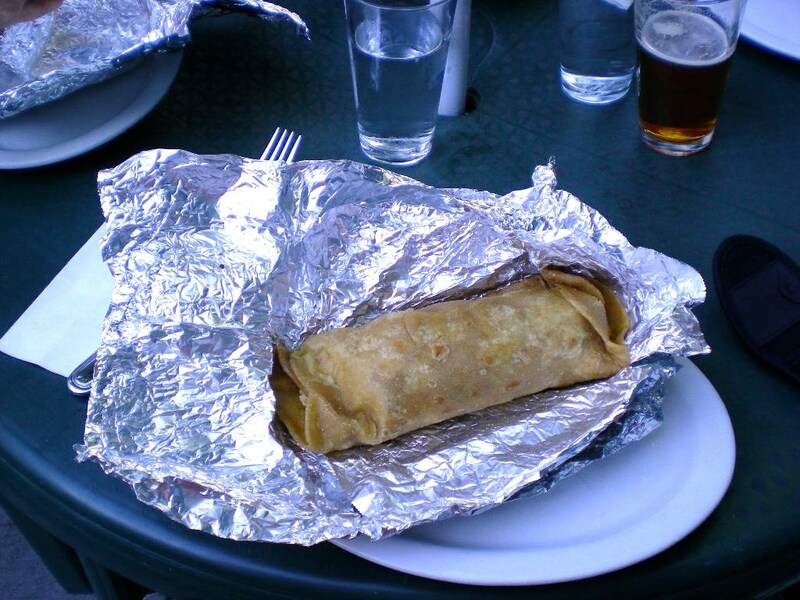 The plate was just as barren with the burrito unwrapped as wrapped so I am not sure I see the advantage of wasting the foil. Restaurants often want to keep it simple and not experiment with fancy garnishing, but a dash of sauce and a sprig of something or other on top of the unwrapped ‘rito would have warmed the presentation up a degree or two. With a price tag of $9.50 for each of our three ‘ritos, it would also be nice to get a small side of some ilk, something to add color to the plate and additional variety to the meal, as well as bring the price more in line with the meal. That all being said, one of our selections was excellent, one was good, and one was quite bland (although much hotter than the “mild” we had requested). Not normally a fan of fish or eggplant, I was surprised to find the blackened sea bass burrito most to my liking. The flavors were bold and interesting and I was impressed that “blackened” hadn’t turned out to mean “burnt,” as it does in so many restaurants. The lamb was tasty and paired well with the sweet potatoes. I don’t know if it was the chicken or the pumpkin but that ‘rito had very little flavor. The saving grace was that the waitress insisted on replacing it and so we changed out the chicken ‘rito with another blackened sea bass but this time on a bed of lettuce. It more than made up for the first order and frankly, we all preferred it naked over lettuce as compared to its shrouded brother. As someone who is calorie conscious, this is an excellent choice. This “salad” version is also priced at $9.50. A soft opening implies that a restaurant opens its doors prior to being completely ready, and rarely is this a good idea. 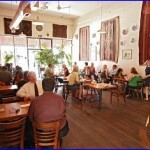 A local exception was last year’s soft opening of TAPS, the mutli-tap beer, dog, and dining spot down the block. TAPS wanted to get their food and drink in front of as many people as possible, for the smallest cost, prior to the onset of the lethargic cold weather dining season. But they didn’t open soft just for the heck of it; they had a reason. TAPS didn’t want to miss the opportunity to participate in the Taste of Petaluma. I understand the cost of having the doors closed but it is minor compared to the benefit gained by making a good first impression, especially when opening in a locale formerly occupied by a long-time favorite. We sat outside in the alley seating area, which was perfect for such a warm evening. The tables were plastic green and quite weathered but the waitress informed us they would be swapped out shortly for new ones. 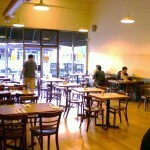 The tables and chairs inside appear to be the hold overs from Aram’s. I can’t say the interior is simply appointed because I don’t think there were any appointments at all – no art on the walls, flowers or decor. 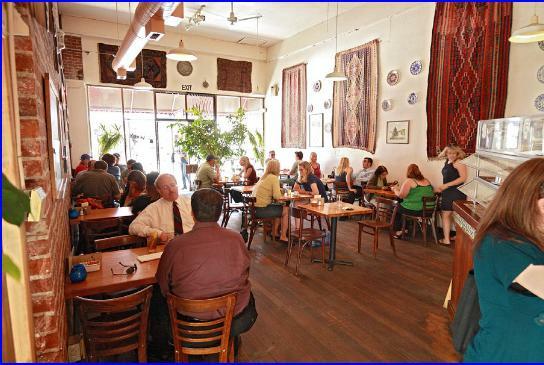 The staff is great and the food is good and healthy, but the ambiance is stark and cold, something that may have played a role in the demise of Aram’s. I like a naked brick wall as much as the next guy but it works best as a contrast to other more lively features, not as the liveliest feature in the room. I understand the economics of keeping costs low, but unless you are going to offer exquisite food or outrageously low prices, a pleasant ambiance with a refreshed décor is usually in order. I have eaten at some dives, but either the food or the price was outstanding as is the case with Burger City in RP or the late Babe’s of Schellville. Having just opened, I don’t know yet how involved Avatar’s will be in our community, other than vending food, but hopefully they take the lessons learned by others and apply them appropriately to this Petaluma location. 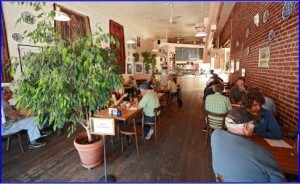 An extension of two other Avatar’s, both in Marin, they may be of the mind that turning out good food with amiable service is all it takes to succeed in Ptown. 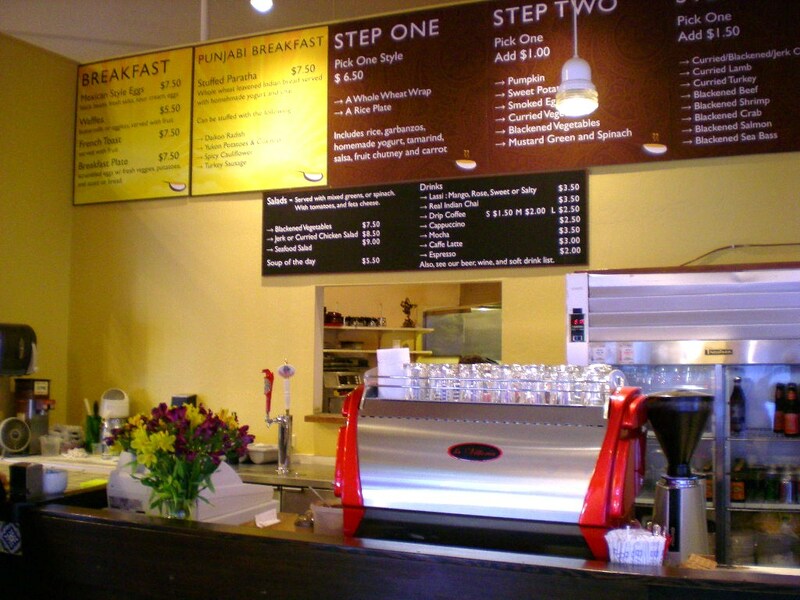 This is a common mistake made by new businesses, especially in such a community oriented town like Petaluma. With tightening consumer pocketbooks, reaching out and supporting local charities could likely become a make or break decision for the restaurants of the “new” economy. Overall, our meals were creative, interesting, and tasty and the service was superb. 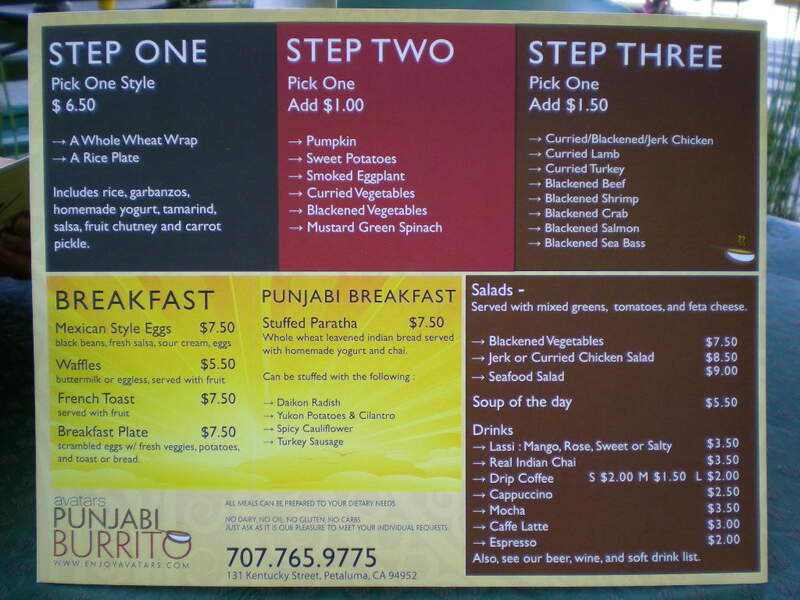 This was my first experience having Indian food mixed up and wrapped in a burrito, and I look forward to trying some of the other combos, as well as returning to try their breakfast menu. I hope that the outside tables are not the only changes that will be made since the interior needs some livening up, especially since it lacks good natural lighting. I would also like to see a lower price point, especially since for slightly more one can get a full Indian meal, including the take home leftovers, and for considerably less one can eat at a local ‘rito shop. (My favorite in Ptown is across the street.) I understand that Avatar’s is looking to offer a healthy meal with fresh and local ingredients means a certain price point. The ingredients are fresh and unlike a lot of my dining experiences, I didn’t feel stuffed, heavy or groggy afterward, even though the portions were of a reasonable size. They also may find it necessary to expand their menu because after the first few visit customers may want for more variety. 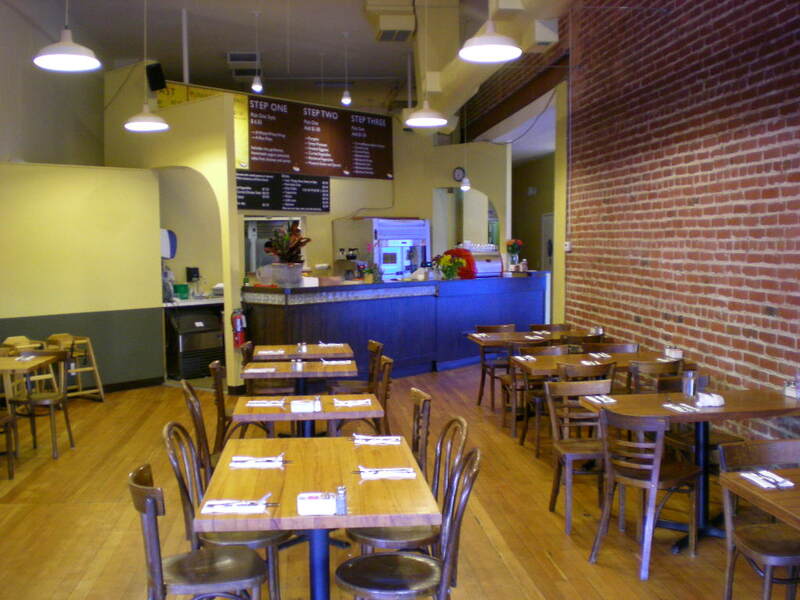 Time will tell if Petaluma’s palate and pocket book is ready for Avatar’s Punjabi Burrito but as a tasty and healthy alternative they could have a bright future.